Inverlochy Castle is one of the most accessible and picturesque castles in the Highlands, just off the A82 at Torlundy near Fort William. 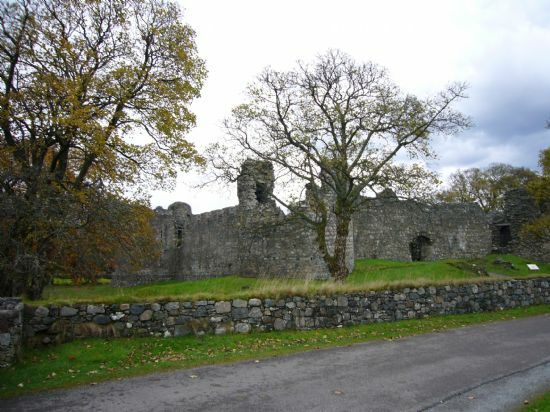 Sometimes known as Old Inverlochy Castle to distinguish it from the nearby 19th castle which is now a hotel, the medieval castle lies near the River Lochy, and was stratgically placed along the Great Glen. It is a well preserved 13th century enclosure-style castle, built by the Comyn family, with four walls surrounding an open courtyard, and projecting towers at each corner, surrounded by a now-silted moat. The largest tower, known as Comyn's Tower, was the the donjon, or keep. It is one of the earliest stone built castles, and a well preserved example of its type. 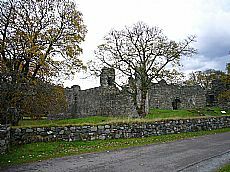 The Castle was in and out of use until the 17th century, when it was abandoned for a large timber fort built by Oliver Cromwell at what has come to be known as Fort William. There have been excavations at the castle in the past, which are summarised in the HER, and an article published in PSAS in 1998. Finds included dress pins, iron arrowheads, rowel spur, medieval knife, and pottery. Highland Council HER, which has a number of photographs, plans and summaries of excavations. John Lewis and Helen Smith 1998. 'Excavations at Inverlochy Castle, Inverness-shire, 1983-1995,' Proceedings of the Society of Antiquaries of Scotland, 128, pp. 619-644.